they dried during about 9 days , with 55/65% RH and more pleasant temperatures than this summer, but still very high (26°C ) so I had to stop it earlier than expected ! 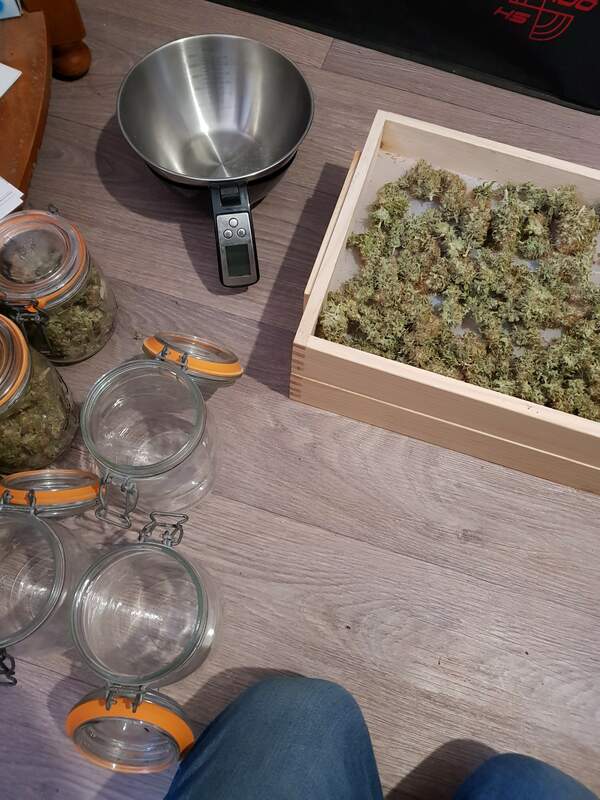 I even left all the sugar leaves to try to increase the duration of drying (and do a dry trimming for the first time) but 9 days was the max. Hopefully Croatia takes it home mate. 2-1 Croatia. Very nicely done my friend. You do a tremendous job of maximizing your overall room yields by catching all of those heddies under the screen. I need to get a nice trimming screen like that. Did you make that or purchase it? are you still waiting for the November prices?